Official Announcement: Break the Deportation DNA Chain: "Refugee Black Box – The irrepressible voice and power of the afflicted" - Beyond the Court rooms! 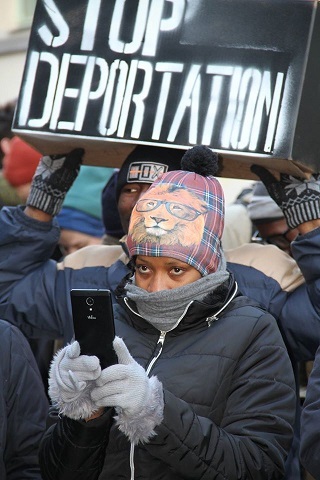 "Our main focus of discussion will be breaking the deportation chain from within; with discussions on strategies of Break Deportation Acts: Our historical backgrounds and past political struggles against deportation and social exclusion will be the guide to our continued engagement for justice and human dignity." 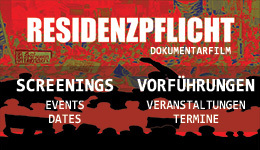 The VOICE Refugee Forum, Activists of the Refugee-Migrant Community Network together with Anti deportation activists will be presenting and discussing the very first agenda and plan of the project event: " Refugee Black Box – The irrepressible voice and power of the afflicted" in Jena, over the weekend of the 27th to the 29th.